The horror flick stars actor Milla Jovovich as a woman living with “face-blindness” after surviving a serial killer’s attack. “As she lives with her condition, one in which facial features change each time she loses sight of them, the killer closes in,” the film’s synopsis reads. 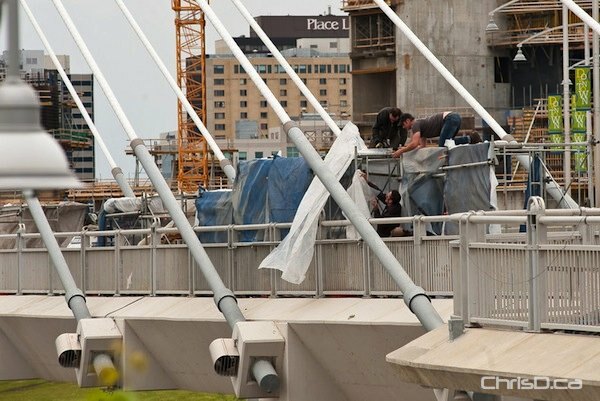 The Esplanade Riel pedestrian bridge in St. Boniface is being used for part of a night shoot, according to the crew on scene Thursday evening. 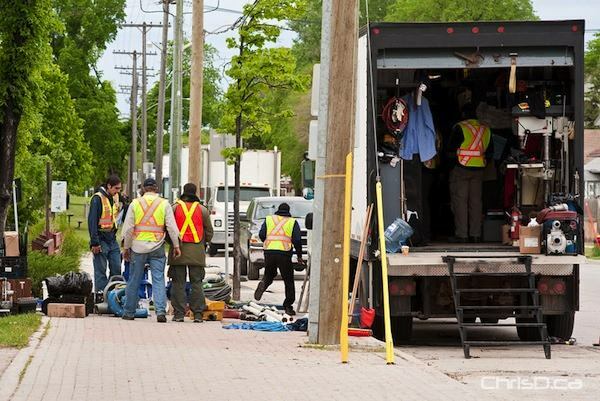 Scenes are also being shot at the Norwood Community Centre. 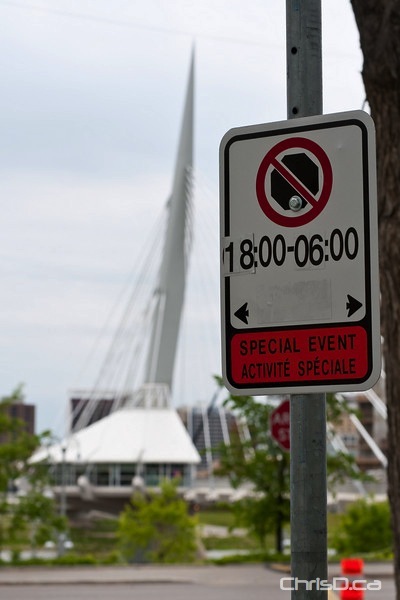 A few weeks ago an open casting call was held for extras, and many Winnipeggers — or Winnipegians according to Jovovich — were chosen to appear in background scenes. CTV Winnipeg late night anchor Susan Tymofichuk was one of those lucky people. 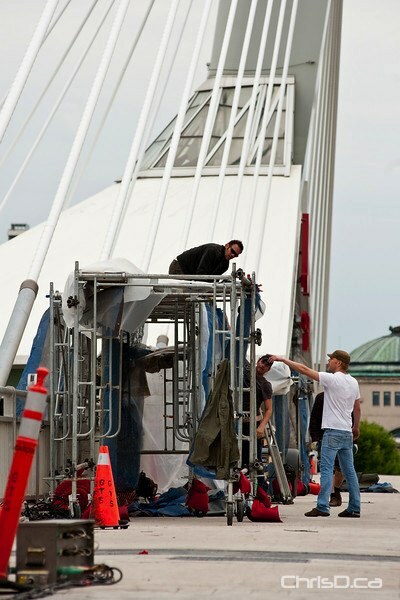 The movie is set to be released in 2011.